When you think about the enormous impact your eyesight has on your ability to enjoy life and perform everyday tasks, the need to protect that amazing gift, not just for yourself but also for every member of your family, becomes crystal-clear. Your eyes face challenges ranging from refractive errors and functional problems to serious, potentially sight-robbing diseases. Regular comprehensive eye exams enable you to anticipate and deal with these challenges as soon as they appear. That's why our optometrist, Dr. Timothy Moore, is proud to provide eye exams for residents near Reno. Despite the amazing images our eyes relay to us, it's surprisingly easy to take this remarkable functionality for granted when your eyesight seems consistent from year to year. Conditions such as macular degeneration, glaucoma, and diabetic eye disease may be damaging your eyes without any symptoms. These issues need to be diagnosed as early as possible so you can start receiving treatment; the only reliable way to spot them is through a comprehensive eye exam. Eye and vision problems can develop at any age, which is why everyone in your family, from infants to great-grandparents, should receive regular exams. The American Optometric Association recommends that children receive a couple of detailed eye exams before they start school. Older kids and adults should have an eye exam once a year if no problems are evident, Adults over 60 should have an annual eye exam due to their elevated risk for cataracts, macular degeneration, glaucoma and other serious eye issues. 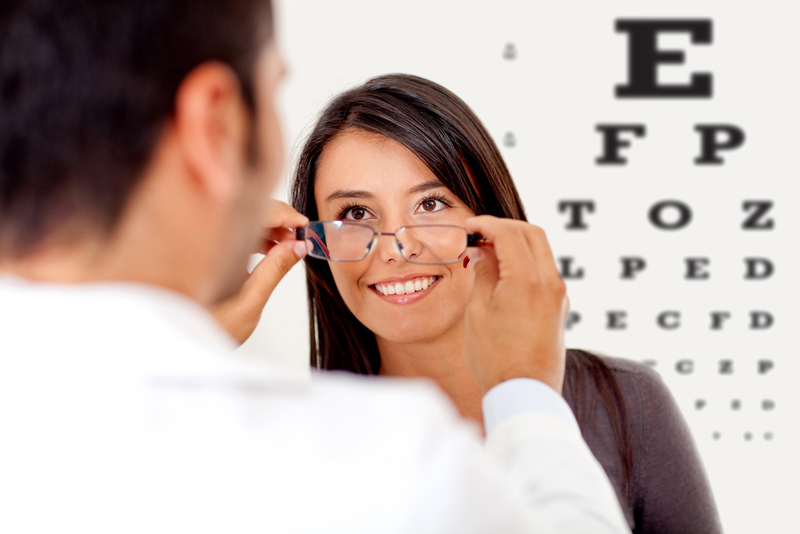 Eye exams consist of three primary components: eye function testing, vision testing, and eye health evaluations. Dr. Moore takes your medical history and discusses any symptoms you've recently experienced with you while performing these evaluations. Eye function testing checks basic abilities such as eye teaming/tracking, binocular vision ability (two eyes working together), color perception, accommodation (focusing); it's especially critical in younger patients, who need the best possible circumstances for normal vision development. Vision testing is the familiar use of an eye chart to check your clarity of vision at various distances, enabling a prescription to be written for corrective lenses if necessary. Eye health evaluations require dilating your pupils so we can observe a large portion of the eye's interior, including the optic nerve and retina. Inspection of the front of the eye with an instrument called a slit lamp helps us spot cataracts, corneal disease or other issues. If it's time for an eye exam in Reno, then it's time to contact Epic Vision Development. Call (775) 507-7171 today to schedule an appointment with our optometrist!